Jim Shore has designed the royal wedding couple from the classic Walt Disney movie Cinderella in this charming statue. 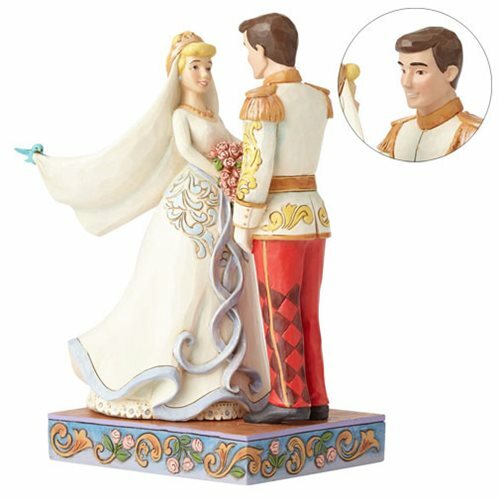 The Disney Traditions Cinderella and Prince Charming Wedding Statue makes a perfect gift for weddings, anniversaries, and Disney Princess fans! This beautifully crafted statue of Cinderella and Prince Charming is made of stone resin and stands about 6 1/8-inches tall.